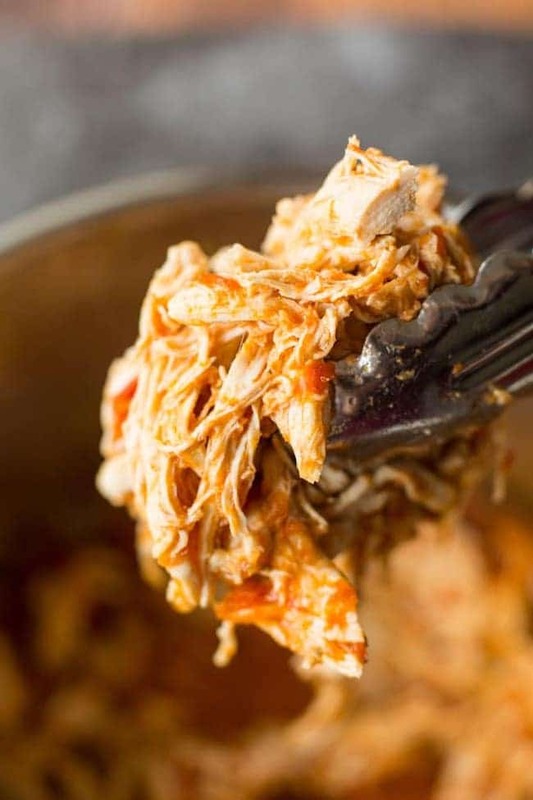 Welcome to my newest dinner obsession: 2 Ingredient Salsa Chicken. So basically the long way or the fast way. Whichever way you choose to make it it’s still incredibly easy to throw together and makes for a super delicious chicken. A couple weeks back I shared my fresh tomato salsa recipe – made in the blender in about 5 minutes. While I was very much tempted to just polish off the lot with a bag of chips and guacamole (basically my idea of heaven) I figured I should probably come up with a more productive use of my dip. Literally all you need to do to make this dish is combine your favourite salsa and some chicken breasts. Add them to a crock pot or instant pot and set. Once you’re time is up your chicken will easily shed with a fork making and be completely imbued with salsa. 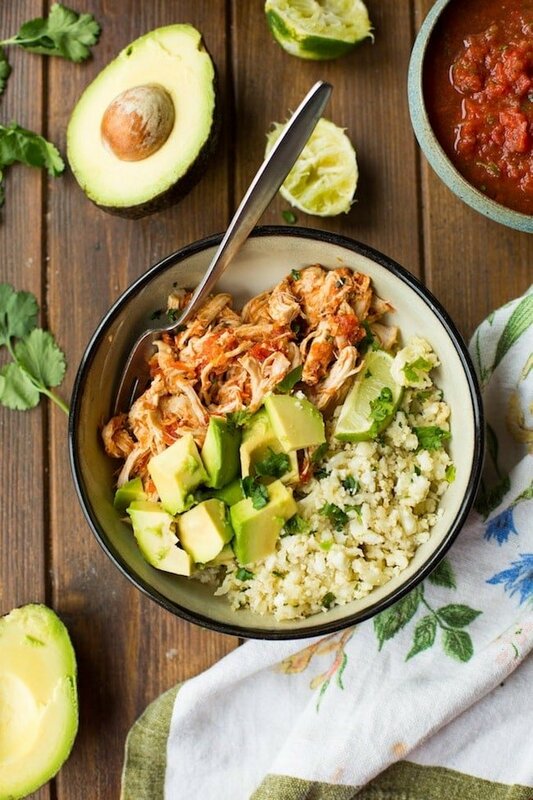 This chicken is great for adding to tacos, burrito bowls or with a side of beans & rice. I recommend making my Cilantro Lime Cauliflower Rice to go along with it. I’ve just entered my third week of eating some sort of combo of this chicken, that rice, and diced avocado for lunch everyday and it’s still hitting the spot. So easy! So tasty! So healthy! So very satisfying! 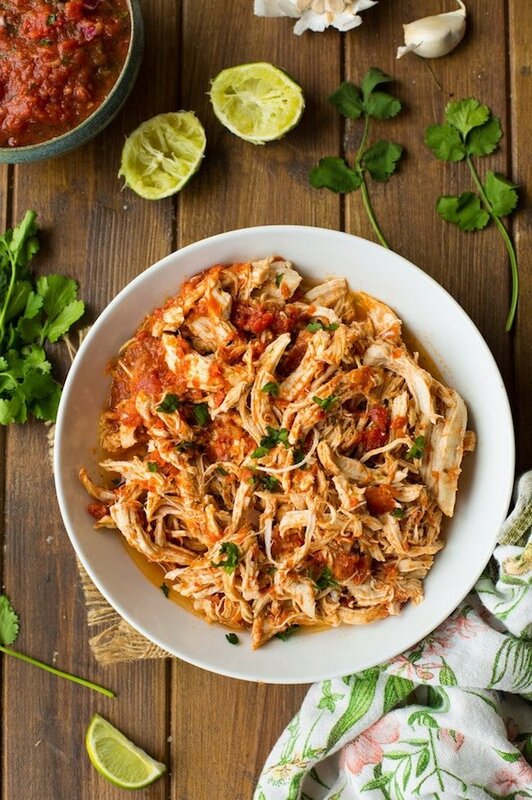 Don’t forget to #asaucykitchen on instagram if you try this Salsa Chicken! I’d love to see what you make with it! 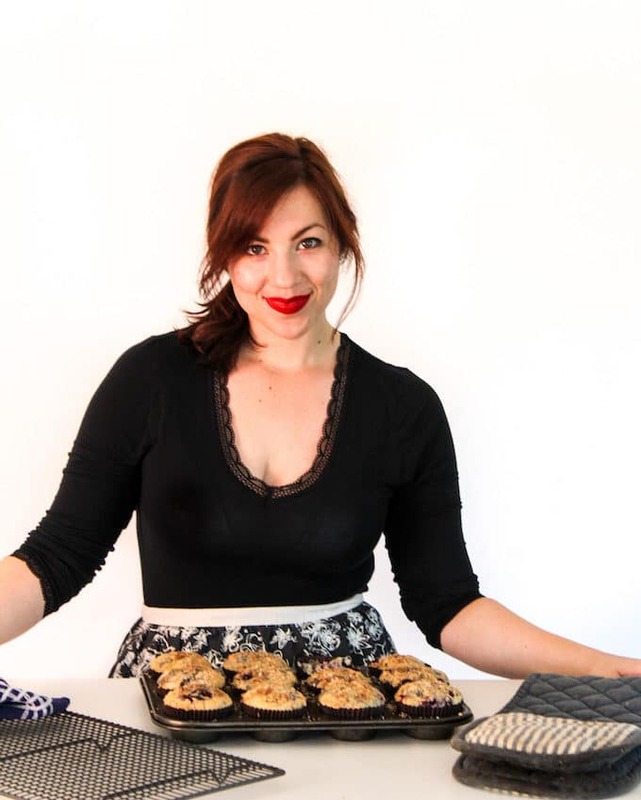 You can also post your pictures to my facebook page! Place your chicken breasts on the bottom of the instant pot. Pour the salsa over the top of the chicken. Give the chicken and sauce a quick stir to coat. Seal Instant Pot and make sure your valve is set to sealing. Press poultry button and set the time for 15 minutes. Once done, wait for Instant Pot to depressurize on it's own. After it's done venting remove the lid. Shred the chicken in the pot with a couple of forks and then serve with the salsa. To be Whole30 approved you need to make sure that you're using a sugar free salsa. If you want to make this in a crock pot cook for high on 4 hours or low for 6-8 hours. Has anyone tried this? I’m concerned that there is not enough liquid for the pot to come to pressure.